Louisiana Medicaid Expansion Brings Insurance To Many New Orleans Musicians : Shots - Health News The state this week became the 31st in the nation to expand Medicaid to the working poor. It's also the first state in the Deep South to embrace the Obamacare program. Her income as a New Orleans singer fluctuates with the tourist season, says Lisa Lynn Kotnik, and that's made health insurance too expensive in the past. Now that she has a Medicaid card, getting the health care and medicine she needs should be easier. 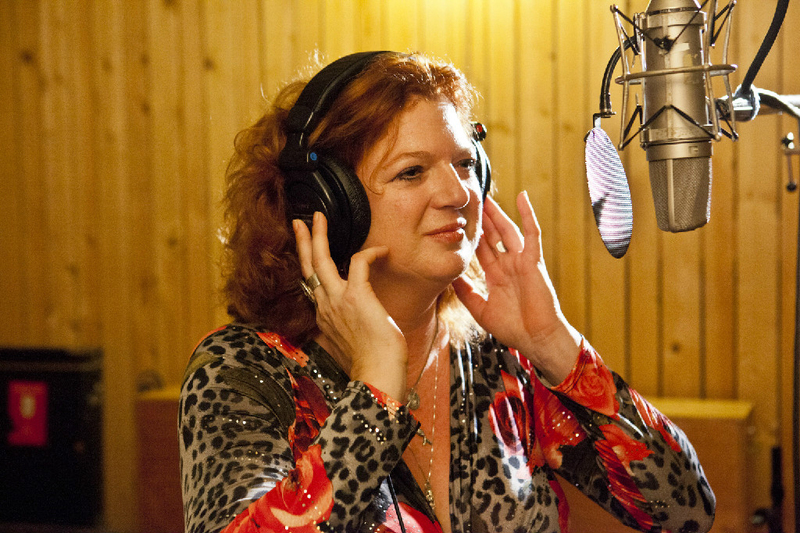 Lisa Lynn Kotnik has been a singer on the New Orleans club circuit for more than 15 years. "I sang at Fritzel's for eight years," she says. "I sang at the Bombay Club for 15 years, I sang at Margaritaville — the list could go on and on and on." While Kotnik sings to revelers at night under the stage name Lisa Lynn, in the daytime she's battled health problems — fibroids, ovarian cysts, a hysterectomy and even a brain aneurysm. "So, I've had a lot of surgeries," she says. She counts at least five. And like many of her fellow musicians, Kotnik has never really had health insurance. Her income as a singer is tenuous and fluctuates with the seasons, so insurance has always just been too expensive, she says. Kotnik was at the New Orleans Musicians Clinic recently signing up for Medicaid. Hundreds of thousands of Louisiana's working poor have health insurance as of July 1 because the state has expanded its Medicaid program, as allowed under the Affordable Care Act. The new insurance benefits Kotnik and many of the other performers and workers who serve the millions of tourists visiting New Orleans every year. That's also good news for the New Orleans Musicians Clinic, which has provided health care to the city's musicians and artists for decades, mostly for free. The clinic, decorated with vintage Jazz Fest posters and signed photos of musicians like Harry Connick Junior and James Booker, is located on historic St. Charles Street in a building that also hosts doctors and clinics affiliated with Louisiana State University. But it's funded mostly by philanthropists, and its services, until now, have been limited. In the past, Kotnik could see doctors at the clinic; but if she needed a blood test or ultrasound scan, she had to go across town to University Hospital, and potentially wait hours for what in Louisiana is called charity care. "We have all that in this facility, but it wasn't covered," explains Megan McStravick, a social worker at the musicians clinic who helps people like Kotnik get the care they need. Prescriptions also weren't covered, so McStravick would spend hours working with drug companies to get her low-income patients the medications they need for free. Medicaid changes the terms of coverage — and that's a big deal for the state's health secretary, Dr. Rebekah Gee. "These are our heroes," Gee tells Shots. "These are our local New Orleans heroes — our musicians are the fabric of our community." Musicians, restaurant workers and hotel workers are the backbone of much of Louisiana's tourist economy, she says. "People love to come to Louisiana, they love to eat our food, hear our music and stay in our hotels," she says. "Because those jobs are not high income, we have a huge workforce that was uninsured." Moving all those people into the Medicaid program has been a huge task. The poorest and least healthy state in the U.S., Louisiana is now the 31st state to join the Medicaid expansion, and the first in the Deep South to embrace this sliver of Obamacare. It's a big turnaround for this Republican state. Bobby Jindal, the former governor, loudly opposed expanding the government program and the state's Republican-dominated legislature went along with him. But last fall, a new Democratic governor, John Bel Edwards, was elected after campaigning specifically on expanding Medicaid. His election, combined with a huge budget crisis, convinced many state officials to embrace the program because Edwards made the case that it would save money by handing over health care costs to the federal government. "The Medicaid expansion was something that I believed in and I knew it would save money," Edwards says. "It no longer was optional, because we had to implement every cost saving measure that we could." Still, Gee faced a big challenge because the state legislature refused to allocate any money to hire people to sign people up for Medicaid. "The idea of having more state employees at a time when we were cutting the budget by $3 billion — there just was not an appetite for it," she says. It fell to Gee to figure out, without any new help, how to sign up the estimated 375,000 people who were eligible. "I said to my husband, 'Gosh, we can maybe get a couple of cards into people's hands by July, but I have no idea how we're going to get this done," she recalls. So Gee turned to other programs that work with the poor. Anyone who gets food stamps was automatically qualified for Medicaid. And anyone who had been in earlier state health plans for the poor was automatically signed up. She says she hopes other states in the region will follow Louisiana's lead. "We are an island amongst a sea of states that haven't expanded," she says. "We are hoping to lead the charge here." But insurance is only the start, Gee says. "Our major challenge is to transform this state from the most unhealthy state in the nation to a state that has a healthy future," she says. For people like Lisa Lynn Kotnik, the Medicaid card is at least a start.